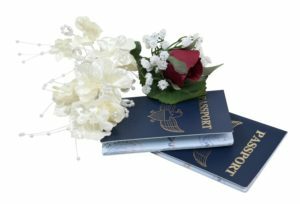 Can my fiancé come to the U.S. on a B1/B2 visa for marriage? While it is technically possible for a fiancé to enter the United States on a B1 or B2 visitor visa, it’s highly discouraged and it may even be fraudulent. The K-1 visa is designed specifically for the purpose of coming to the United States for marriage to a U.S. citizen fiancé. If this is the purpose of the trip, the K-1 is best way to put the foreign national in a position to adjust of status to permanent resident and avoid future problems. A B1/B2 visa, like most nonimmigrant visas, requires that the foreign national has a nonimmigrant intent. That means the foreign national must not plan to stay in the United States and generally must prove that he or she will return home after the stated purpose of the trip. The stated purpose of a B-1 visit is temporary business and the B-2 temporary leisure. By entering the United States with the preconceived intent to marry and then adjust status to permanent resident, a foreign national has violated the terms of the visa. This can potentially result in a denied application for a green card. Worse yet, it can create long-term immigration problems. It may seem inconvenient to obtain a K-1 fiancé visa first, but it helps avoid future problems. The K-1 visa has a dual intent built in. 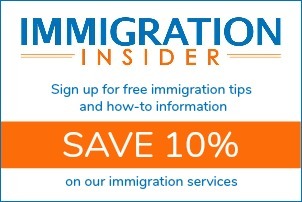 The K-1 is a nonimmigrant visa that also allows for the visa holder to have an immigrant intent. That is, USCIS expects that the K visa holder will ultimately adjust status. For foreign nationals that are already physically present in the United States in a lawful immigration status, there is no need to obtain a K-1 visa. For example, a foreign student in the U.S. on an F-1 visa may marry in the United States. Likewise, a TN visa holder may get married without special permission. As long as these nonimmigrant visa holders were present in accordance with the terms of their visas and fell in love along the way, there’s generally nothing to prevent a marriage and adjustment of status.